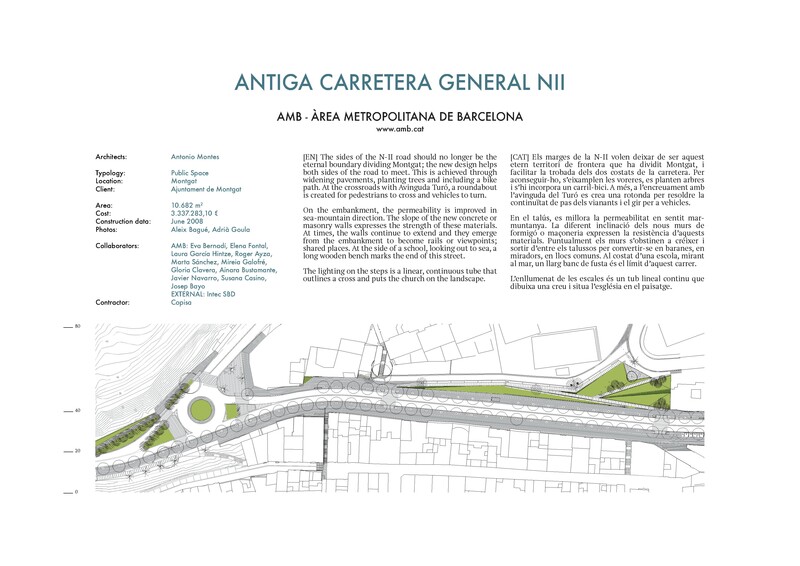 The sides of the N-II road should no longer be the eternal boundary dividing Montgat; the new design helps both sides of the road to meet. 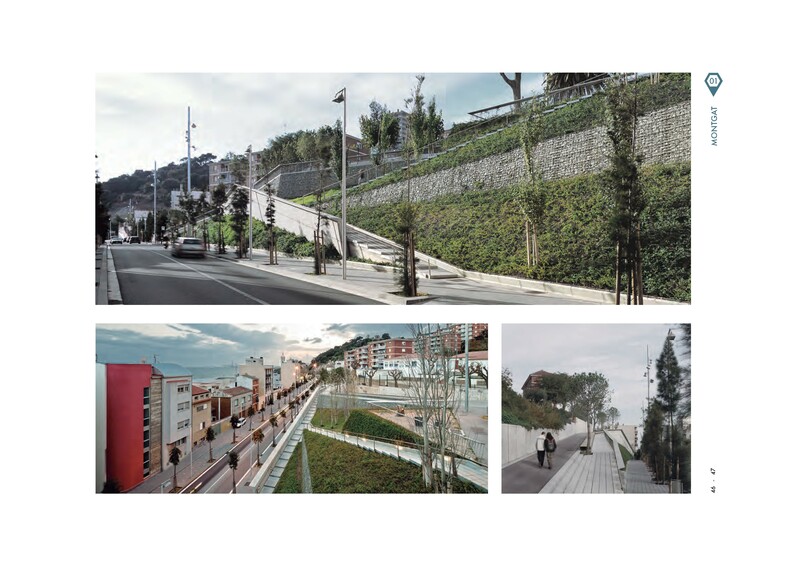 This is achieved through widening pavements, planting trees and including a bike path. At the crossroads with Avinguda Turó, a roundabout is created for pedestrians to cross and vehicles to turn. On the embankment, the permeability is improved in sea-mountain direction. The slope of the new concrete or masonry walls expresses the strength of these materials. At times, the walls continue to extend and they emerge from the embankment to become rails or viewpoints; shared places. At the side of a school, looking out to sea, a long wooden bench marks the end of this street. The lighting on the steps is a linear, continuous tube that outlines a cross and puts the church on the landscape.